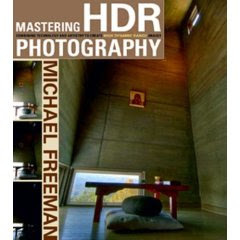 As a teacher of photographic lighting, here is a book that I can highly recommend on photographic lighting. 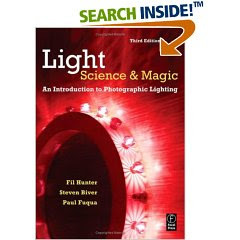 Lighting: Science & Magic is an excellent resource for those learning the fundamentals of lighting. This book is not packed with great shots by great photographers, but instead is an excellent resource for understanding lighting and the physics behind it. The authors dig deep into looking at light angles, reflections (would you believe there are different types of reflections) and contrast, polarization, lighting styles and much more. A definite must read if you are looking for a thorough understanding of lighting and how it works for your photography. Keep Reading: Full Post and Comments! Looking for some fun with flash? Visit Strobist! Certainly if you are a big flash user and especially wireless flash, you know of my friend David Hobby's site, Strobist.com. It's loaded with great tutorials and insights and David seems to have the ability to scan the universe and find some fabulous people doing fabulous things with flash. 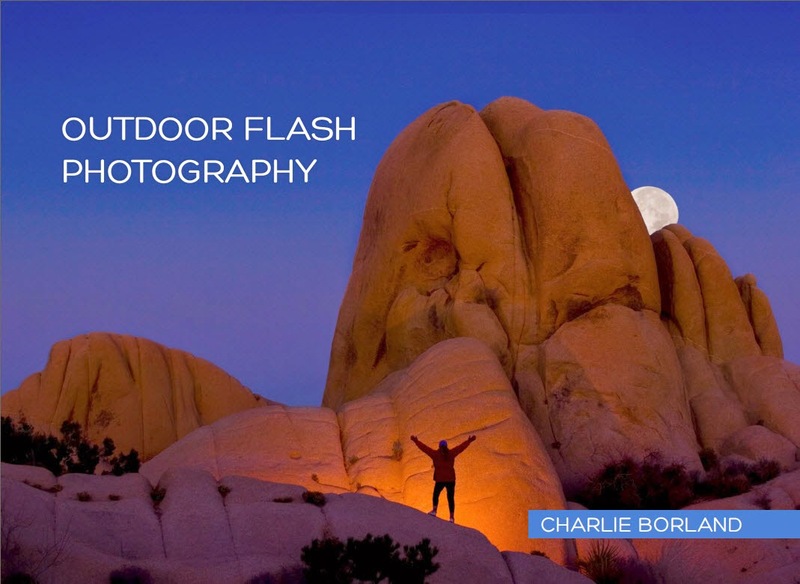 Now for a really great, innovative, and interesting use of flash, visit Strobist and watch this video. I visit David's site daily and take no credit for this discovery, just want to pass along the link. You gotta see it! Keep Reading: Full Post and Comments! If you are a commercial photographer, maybe starting out, and need some additional instruction in location lighting, then check out my new class at the Perfect Picture School of Photography called Secrets to Lighting on Location. 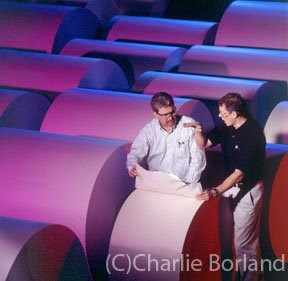 The program will cover Corporate and Industrial Photography, Architectural Interiors, Portraits on Location, and there is a bonus lesson on color manging your light. Check it out! Keep Reading: Full Post and Comments! Can you do high dynamic range photography in low dynamic range or rather low contrast scenes? Absolutely and it can produce some fun and exciting results. In low contrast scenes the range of highlights with detail and shadows with detail is relatively short and easily captured by the digital cameras sensor. 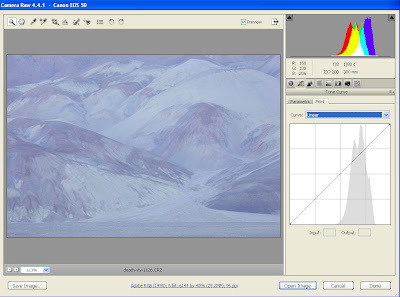 In high contrast scenes, where HDR techniques are valuable, the contrast range between highlights with detail and shadows with detail is greater the the cameras sensors ability to capture. I am enjoying using HDR techniques in all my shooting and really enjoy using if in low contrast scenes. 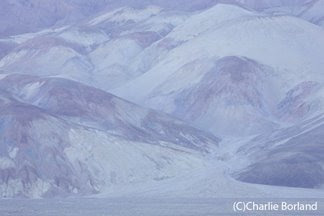 This image was captured when I was returning from Utah after teaching a workshop. 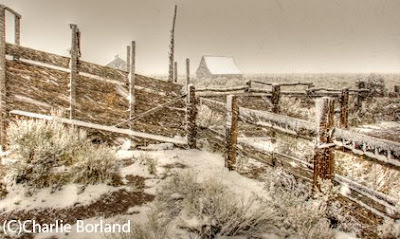 Out is southeast Oregon, where it is desolate and windswept, is this old homestead/ranch just off the highway. I have driven by here many times as this is the fastest route from my home in Oregon to the southwest regions. I have passed by it every time, thinking I need to stop and shoot, but haven't because of light conditions. That is until this trip. 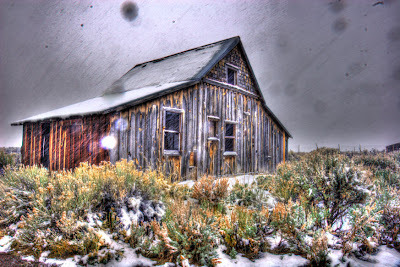 As I was driving by this time it was snowing lightly and it seemed the right conditions to shoot today. As I was shooting the snowing became a blizzard, but I kept shooting until I and all my gear was starting to get seriously wet. I shot the scenes as Photomatix recommends: -2, N, +2 and then headed home. I opened both of these images in Photomatix and processed them to taste as PM is designed to do. Open the images and slide the sliders. I can tell you that I usually have Strength at 100, Color Sat at 50 - 100 depending on the strength and vibrancy of the colors to start. Luminosity 5 - 10 leaning towards 10. Light smoothing at the middle usually so I don't get to weird of effect. Microcontrast all the way right with as little microsmoothing as possible. I also send White point and Black point up to the middle or close depending on the image. Here you can see the image as it came out of Photomatix. Skies are difficult to maintain as they halo and get noise very quickly. Here you can see the noise and the out of focus snowflakes create big dark blobs as well as the dirt on the sensor is magnified. So the key for me is to put in another sky. The intro image was a set of clouds from my cloud file for use in images just like this. It looks cool but are not snow clouds (who cares) so I opened the original RAW file of the -2 exposure, processed it in ACR, and masked it in as seen here. This looks real. 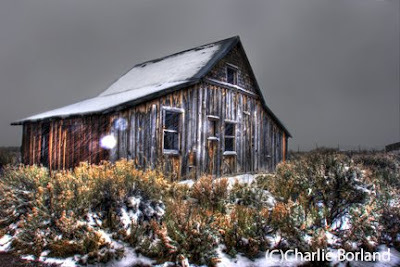 Here is another that was run through HDR and processed in a totally different way in the tone mapping. More extreme white and black points and the original color saturation settings provided this sepia tone look. 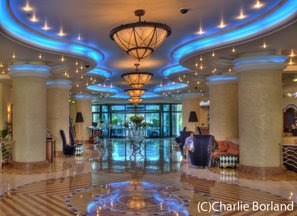 Photomatix HDR & Architectural Interiors: The Dream Team? 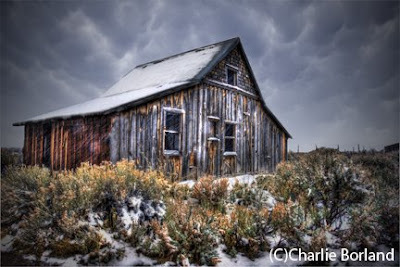 HDR is one of the hottest techniques out there right now. 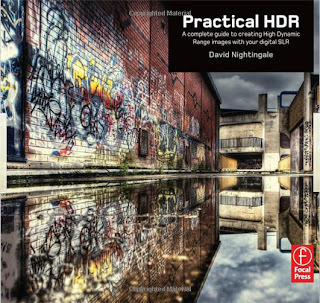 Photographers are flocking to this software to create High Dynamic Range images for a variety of uses from illustrative street photography, unusual portraits, and for architectural interiors. 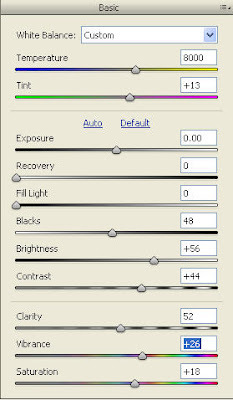 Photomatix seems to be the most popular and widely used, but don't overlook FDR Tools as well. 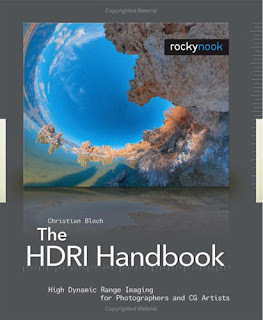 I was just perusing the net looking at my favorite sites while reading up and looking at others images, when I came across a post about HDR. 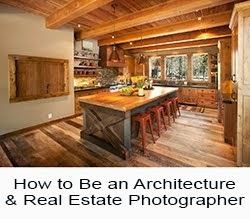 The posting was generally about shooting interiors and using HDR. One person commented on the post about how excited he was that "he would not have to light anymore interiors". This got me thinking! How can HDR eliminate the need to light when lighting shapes our subjects, shows contours, textures, light and dark, creating highlights and shadows? This does not make sense. One of the most popular places to photograph among nature photographers is the Oregon Coast and it is also one of the best places to conduct a photo workshop. There are lighthouses, rocky shorelines, massive sand dunes, forest, tide pools, and much, much more. 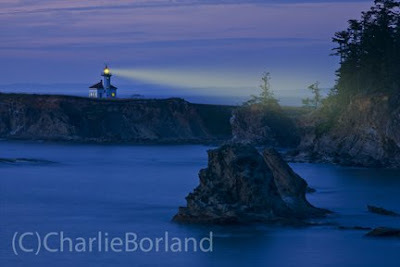 Above is an image of the Cape Arago Lighthouse. This lighthouse is no longer illuminated at night, but is still very photogenic. Here I photographed it with about a 30 second exposure and then opened the image in PS and added the beam of light and the windows and a few others retouched to make it a moodier shot. I would like to show you how to do this! The area has so much to offer, what better location to hold my workshop: The Art of Digital Nature Photography: Oregon Coast at the end of July. The power of Adobe Camera Raw-Amazing! What does your digital workflow really look like? If you are a busy shooter like me, you undoubtedly have a basket, drawer, or something loaded with DVD's of your personal work, waiting to be processed. I not only have a huge basket full of DVD's, but two 300 gig hard drives patiently waiting for my attention. It is really not that bad because since I have no urgent need for those photos and prefer to process them leisurely rather than urgently. I go through the folders and pick at least one image a day to process and this is today's image. It is from one of my favorite places to shoot, Death Valley, and is across the road from Devil's Golf Course. I was teaching a workshop with my dear friend Brenda Tharp and we spent the morning with our group photographing the golf course. When we were about to wrap up our morning, I was in the parking lot with a few students when I spied this view about a mile away. I call them the Neapolitan Hills because they remind me of a bowl of different flavor ice cream with some various syrups poured on top. I attached my 300mm to my Canon 5D and aimed it the hills. I shot various sections of the scene and then also made sure I overlapped a few frames to make a panoramic image. These files have sat on the hard drive for 6 months and the reason is that when I looked at the thumbnails of the images, they looked very flat and boring like this one pictured. I was not inspired! However, today I needed a challenge and decided to look for an image that can be rescued and here it is. 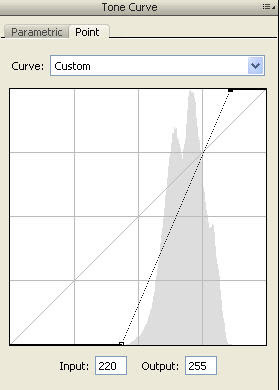 I opened the image in ACR and first went to the curves dialog where you can see a very flat image with all the data compressed in the middle. I needed to pull the shadow areas closer to black and the lighter areas closer to white. I selected and pulled the black anchor point in closer to the black area of the curve, then did the same pulling in the highlight anchor point. I next went back to the Basic panel and adjusted the WB to 8000 to reduce the blue/gray cast that was prevalent. I also slid the Black slider up to almost the middle while watching the histogram to make sure I did not go to far. I also considered the fact that there really was not a black in the scene so I did not move the slider to far. I next bumped up the brightness and contrast a little, added some Clarity, and some Vibrance and Saturation. 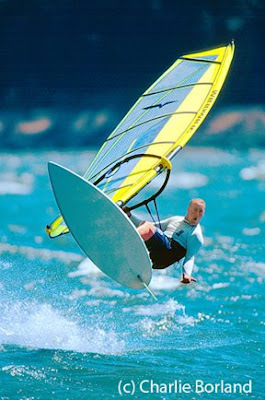 Here I am "sliding to taste" or until I like the image. 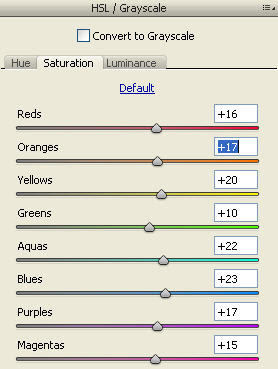 I then selected the HSL panel in ACR and slid the sliders for almost all the colors to the right slightly to increase the saturation. I then opened up two more images that were the left and right of the first image and when they opened in ACR I selected the Previous Conversion from the drop down menu on ACR and processed them with the same settings as the first image so they matched. Finally, I opened Photomerge in Photoshop and selected these three images and stitched them together. Digital RAW files and Photoshop......truly amazing! Subaru is looking for car photographers. If you have an interest in shooting cars, Subaru is looking for car photographers and is holding an open competition to find the winner. This is actually a photo contest where there is a winner and the website is quite cool. It is totally interactive where you choose the camera angle, the position of the sumo wrestler, and then can click the shutter. There is a lightbox where you can open your images and retouch them. 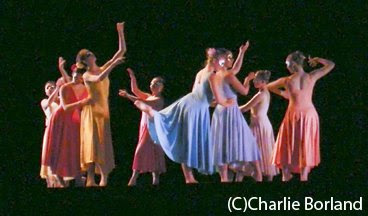 It is complete with audio of the studio workers and the photographer directing. The prizes are nice with lots of camera gear for prizes. Unfortunately this is open only to the great photographers of our northern neighbor, Canada, but the website is still fun to play with. You have until September to git 'r shot! 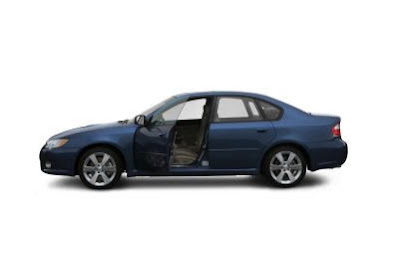 Check it out: http://www.sexysubaru.ca/ Keep Reading: Full Post and Comments! There are many ways to learn photographic lighting and a lot of different lighting styles and approaches among photographers. 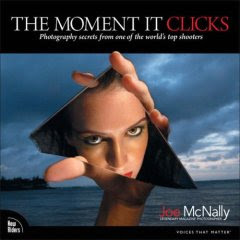 Joe McNally is one of those lighting masters and in his new book, The Moment it Clicks, Joe takes you on a journey into the mind, philosophy, and photographic technique of one of today's leading photojournalists. As a teacher of photographic lighting myself, I am inspired none the less by Joe's fascinating approach to lighting and the concepts behind the photos. He shares not only the lighting approach, but also what was behind the photo and why. This is a must read for anyone interested in the work of a true master and techniques behind the images. It's Friday the 13th! Do you feel lucky today? Today is Friday the 13th and as superstition has it, today is the unluckiest day of the year, or so we are led to believe. So what is it about Friday the 13th that makes for all this suspicion and lore? Of course we have the slasher movies depicting some unlucky souls having a bad day, but where did it really come from? Well there are many stories and legends professing the truth about the origins that would require some extensive research, so the answers wont come from me. What few things I did find was that it originates from ancient times. And a British study was done in 1993 found that said there was a dramatic increase in car accidents on Friday the 13th over 'normal' Fridays. Dr. Donald Dossey, a Psychotherapist says that an estimated 21 million Americans may suffer from the Friday the 13th phobia. They wont go out and eat at restaurants, drive their cars, or even get married on that day. But wait, there is more. Some cities do not have a 13th street, the one supposedly between 12th and 14th. (No wonder I could never find that place.) If you have 13 letters in your name you may be evil. (Charles Manson, Jeffrey Dahmer, Theodore Bundy). Some buildings do not have the 13th floor. I needed more, so I used my Lightroom search feature to scan my photo files for a image taken on the 13th day of any month and then determined if it was a Friday. I found this image as appropriate for the day. It is from Bannack, Montana where I was shooting the cool historic buildings. 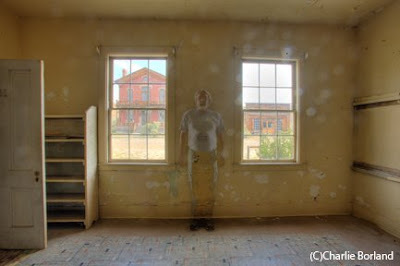 I had entered this old house and crept slowly among the creaking floors looking for good photo ops. Was my presence known? I found this room and shot it. I snapped a bunch of frames, bracketing wildly to capture all the details. When I enlarged it on the LCD to check the shot, there was this image of a ghostly apparition standing between the two windows. I was aghast to see this figure....it was me! My eyes appear as though they had been gouged out and I appeared pregnant. Could it be with alien child? I ran from the house with camera and tripod in hand, only to trip on the old steps and go down, breaking the lens shade off the lens. Brushing off dust and spitting out the dirt, I continued running back to my RV to share this with my wife, but she was gone. Where to I feared. I quickly downloaded the files and there was the image again. Terrified, I tried to erase the file from the hard drive, but the computer froze. Panicked, I dashed out of the RV and jumped in the truck and there was my wife, sitting in the drivers seat, wild eyed and waiting for me. We sped off on the most unlucky day of my life. NOT! Yep, if you believe that I got something else to sell ya, but I sure enjoy spinning a tale occasionally. Actually I cannot think of any unlucky events on any Friday the 13th. As far as this image, it was shot on August the 30th, 2007, a Thursday. In my quest to continue experimenting, I actually bracketed this image for HDR to bring in an exposure for the outside of the windows. Then I had an idea and it was to stand in for one series of the bracketed exposures. I set the self timer and jumped in. When I returned to the computer I opened Photomatix and for the three files I was about to process, I replaced the first normal exposure with the normal exposure having me in it. This meant two of the exposures did not have me in it and one did. I processed these normally in Photomatix and this image is the result. It makes for a ghostly transparent figure with parts of the background showing through. It is fun to experiment so go push the envelope. You might create something that sells, making it your lucky day! I am not actually a photographer to the Hollywood stars, but am thrilled to see a beautiful young woman I used as a model 10 years has made it in Hollywood. Katee Sackoff, who went to high school in a Portland suburb, was a model I used several times for stock photo shoots using teens. She is now the leading star on Battlestar Gallactica and rumor is she is heading for Nip Tuck in the fall. Katee was wrapping up high school when I used her and several friends to do a stock photo shoot that was based on the concept of teens and teen life. We shot them hanging out, in the city, on the phone, and a ton more. I also built a set in the studio to look like a bedroom and you can see that here in this shot. Why build a set? Because most real bedrooms in most homes are small and barely have room to light the way i like as well as the depth of the set allows better depth of field. Here you can see the rear wall is out of focus because the distance is there when shooting wide open to give that look. This was a great setup to photograph her and her friends being teens and my stock agency loved the shots. Congratulations Katee! Keep Reading: Full Post and Comments! 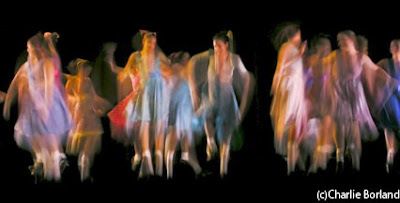 Photographing theater, stage, or concerts has it share of technical challenges. Last night I attended my daughter’s high school dance recital and I took my Nikon Coolpix P5100 to essentially play with and see what I could capture. There were a number of inherent challenges with the whole scenario. The lighting on stage was very contrasty and low in brightness as expected. 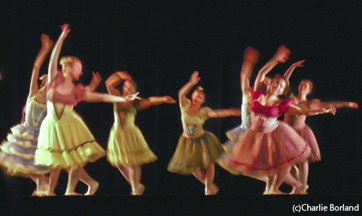 The black rear curtain fooled the camera meter and as you can see when Aperture Priority was used, there was faint detail in the curtain and the dancers are blown out. So I quickly switched to Manual metering and tested for a better exposure for the highlights. I tried exposures at ISO 100, 400, 800, 2000, and 3200 and each delivered different results. 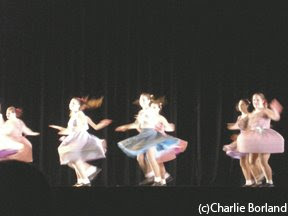 The ISO 100 produced some fun and creative blurry images because the shutter speed was 1/4 second. The ISO 3200 captured less movement but produced tremendous noise as expected. The ISO’s in between captured files with varying degrees of blurring movement. Even at ISO 3200, I still had blurry images because at 3200 the exposure was 1/125th @ F5.3. The Coolpix when zoomed to the longest telephoto setting has f5.6 as its widest aperture and this limited the shutter to 1/125th. If I would have used my Canon 5D and 70-200 mm f2.8, then my exposure would have been closer to 1/250th, f2.8, and a better ISO of 800. All and all it was fun to experiment with and see what I could get. I am happy with these colorful and blurry images. The experience also demonstrated the challenges that commercial photographers specializing in concert and theater photography encounter. 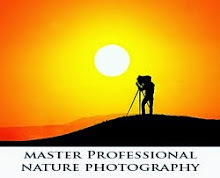 Stock Photo Agency is looking for photographers. 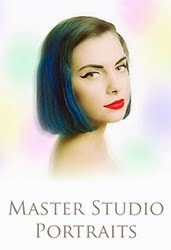 If you are producing stock images and looking for an outlet, check out Blue Moon Stock. I chatted with these folks last year and the were cordial and seemed to have a solid plan in place. That is the most important aspect of seeking a stock agency to represent your work. No matter the agency, try to get a feel for how solid their plan is, do they have startup funding if they are new to the biz, and what is the program details for their photographers. Here is the submission page. Keep Reading: Full Post and Comments! I am often asked in my workshops and online classes; "what are the best cases for carrying all these lights". As you may know there are a lot of options out there and I have looked at many of them. 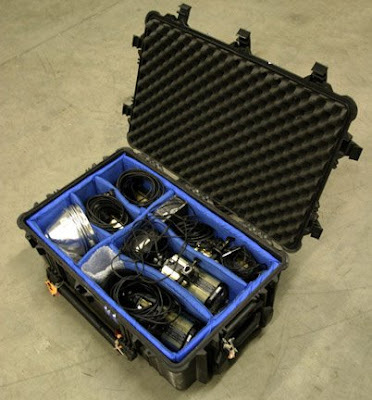 There are soft cases and there are hard cases and of course, you cant test them all on a flight to an assignment. What about weight? I have heard this question before and the big concern is the airlines. (You should also be concerned about your back and lifting these.) When I started flying on assignment to shoot annual reports and other assignments, you could check 3 bags at 70 lbs. each. Then it was two and then it was 50 pounds and then it was one bag at 50 lbs. and now: you have to pay for each bag. Even with my small White Lightning units, I am close to 50 lbs most of the time and occasionally I am over the weight limit. In fact I think no matter what cases are used; soft or hard, and normal sized strobes are packed in them, they will be over 50 lbs or awful close. I used to dread going to the airport with the 5-6 large cases I usually flew with because of the weight issues and extra bag charges, but soon realized that the trends were not going in our favor so I quit worrying about it and pay the fees. You will have to tell your clients that the fees are there and that I will add them to my invoice and they will have to pay them. The cost of doing business today is getting higher and higher and doesn't appear to be slowing down. Your clients have to understand! By the way, for my stands, umbrellas and light boxes, I pack them into SKB Golf Cases. These are hard sided and fly well on the airlines. Be sure though, that you duct tape each latch because if they pop open by mistake, they get ripped off the side of the case. TSA can still remove the tape to inspect them. Also, remove your modeling lamp from the strobe unit and warp in bubble wrap before flying. The air travel seems to rattle the filaments into breaking. Safe travels! Keep Reading: Full Post and Comments! 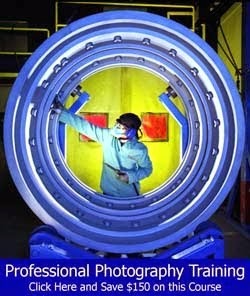 Learn to be a commercial photographer. 40+ hours of training. Photography Usage Rights: Who Can Use Them?